The end of 2017 Online Archery Comp is coming to a close and the NiceTargets Race To 150 is in full swing! Teams are knocking out 3 arrow ends day to day and accumulating those points with each X they shoot. The Vegas Bonus works hand in hand with the Race to 150 so the competitors are killing two birds with one stone so to speak. The Vegas Bonus works like this, competitors shoot 3 arrow ends at a Vegas 3 spot face on camera or live feed. 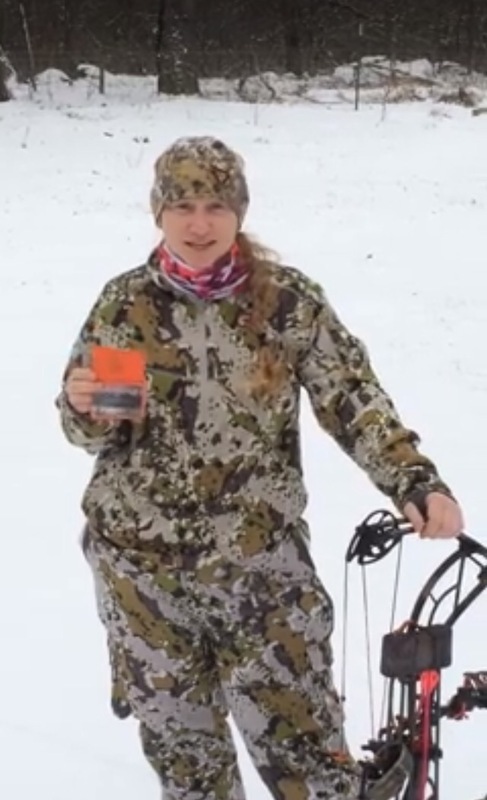 There are certain requirements they must follow for video submissions and after they shoot a total of 10, 3 arrow ends (rounds), they automatically earn +50 for Open Class and +75 for bowhunter class shooters. Meanwhile earning +5 for every X they hit. The goal here is to force shooter early on in the competition to Aim Small Miss Small and knock out the camera jitters and maybe identify any siting or tuning issues early on. The first team to reach 150 points by hitting the X wins the NiceTargets give away which includes a three pack of the targets of their choice. Pretty cool huh! Watching these new teams take on these challenges with their own twists like Team 10XHot Shots did with the trio of Anieta Appleton, Norma Peper, and Hannah Hartley at Alpine Archery was a great way to quick knock out some points for the NiceTargets Race to 150 and also hammering out 3 ends per shooter of the Vegas Bonus. Nice job across the board ladies! You all are coming out strong this first week of competition and maintaining the lead into the weekend. Congratulations Brian Kightlinger on the successful harvest of a Chocolate Fallow Deer and Clint Taylor on scoring the first harvest points of 2017 with this big ol tasty rabbit. Clint was the all around points leader last year representing Team APA and he’s already off to a good start for this year! Also an honorable mention for the ladies is a new OAC member Daniela Yott who decided to “join the boys” at Team G-Force representing the hunter owned company that has been a huge supporter of OAC from the beginning.